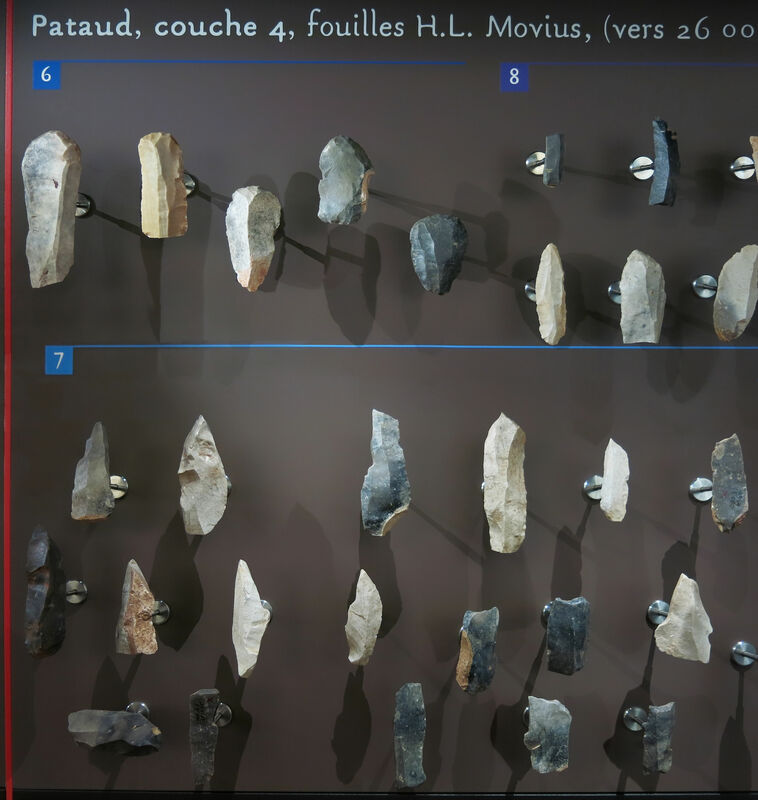 The Abri Pataud rock shelter was occupied by the Cro Magnon man (Homo sapiens sapiens) for a period of 15 000 years, from 35 000 BP to 20 000 BP, which corresponds to the recent Wurm period, and the cultures of the Aurignacian, Gravettian and Solutrian. 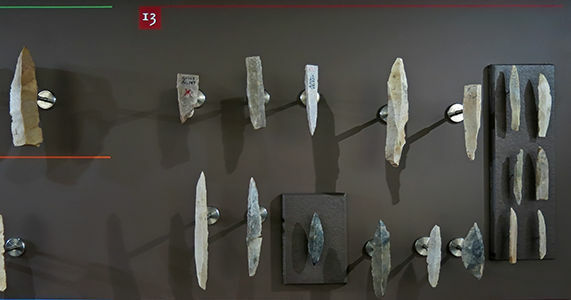 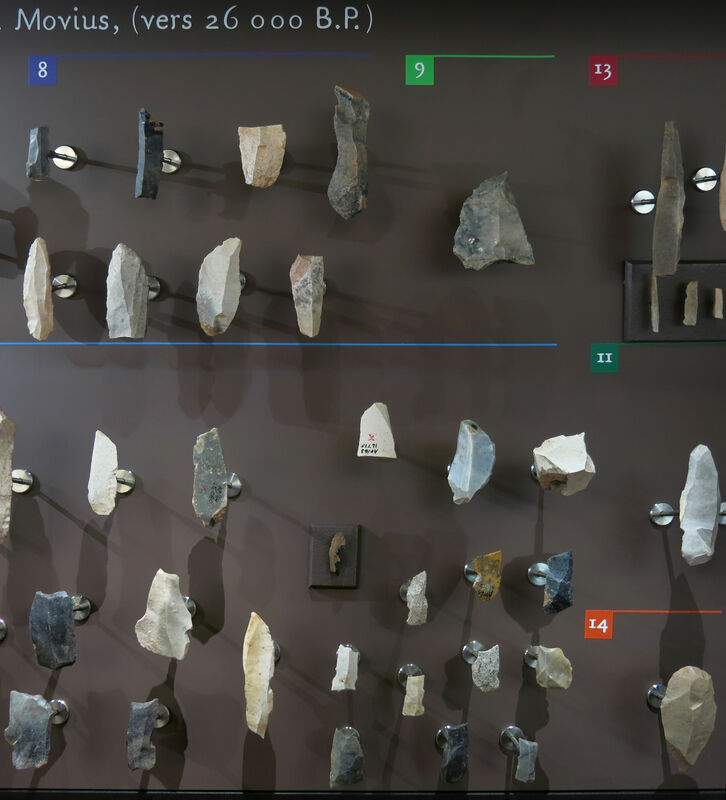 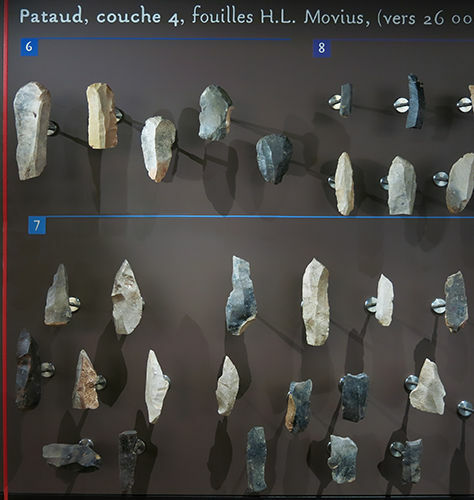 This is a record of the tools found at Abri Pataud by the US archaeologist Hallam L. Movius, and on display at Le Musée National de Préhistoire, Les Eyzies-de-Tayac. Abri Pataud tools, layer 5, excavations of H. L. Movius. Age circa 27 000 BP. 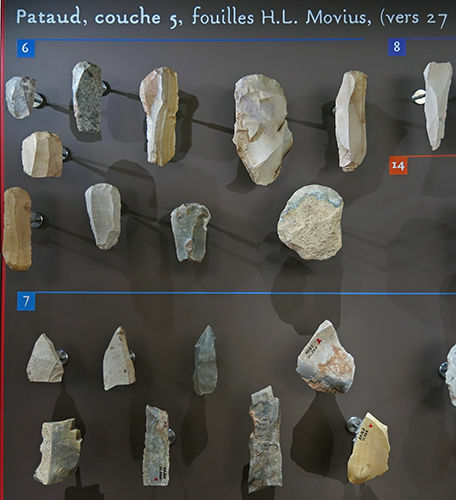 Abri Pataud tools, layer 4, excavations of H. L. Movius. 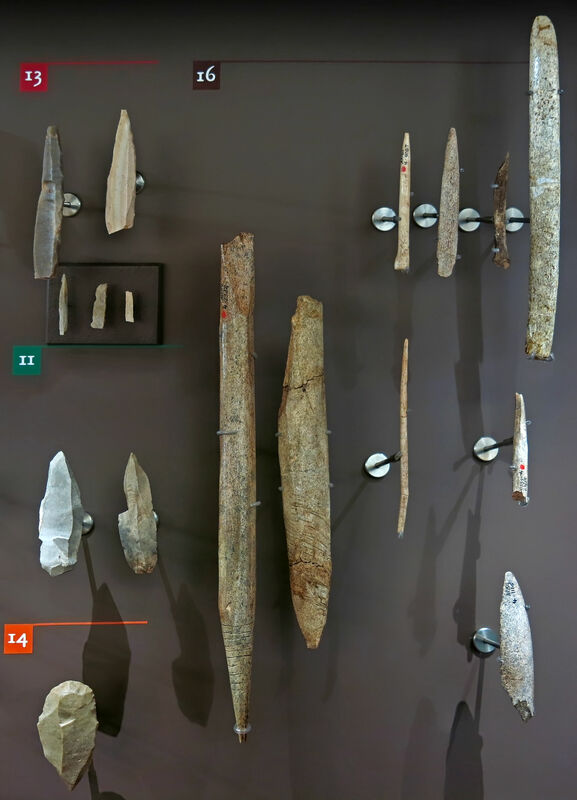 Age circa 26 000 BP. ( Note the classic Isturitz type 'sagaies' in the photo above, but with roughly executed approximately helical grooves. These are not, so far as I am aware, found on the sagaies from Isturitz, the grooves or score marks of this shape being found only on sagaies from Abri Pataud and on similar sagaies from the Belgian Palaeolithic at les grottes de Goyet, Province of Namur, Belgium, as noted by Otte (1976). 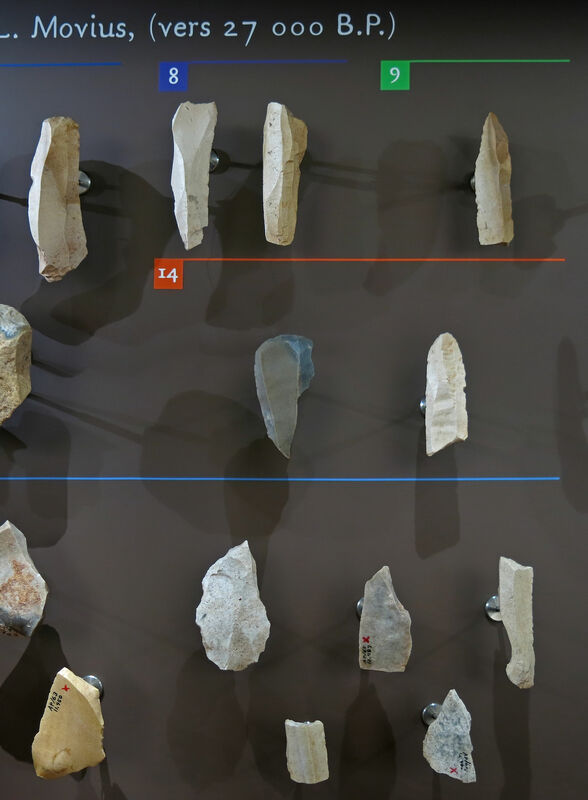 I would be interested in knowing about any other occurrences of this feature at other sites.